Lifestream International has launched a high strength supplement, which may contribute benefits to a heart-healthy diet and lifestyle regimen. Formulated with widely researched, antioxidant-rich polyphenol, resveratrol, as well as tart cherry, Lifestream HEART HEALTH+ may help foster healthy sleep patterns, a habit which could lower stress levels. As with all Lifestream products, HEART HEALTH+ does not contain fillers or synthetics. It is also non-GMO and vegan-friendly. New Zealand owned and operated, Lifestream International has provided Australasia and the world with sustainable, real food supplements for 35 years. 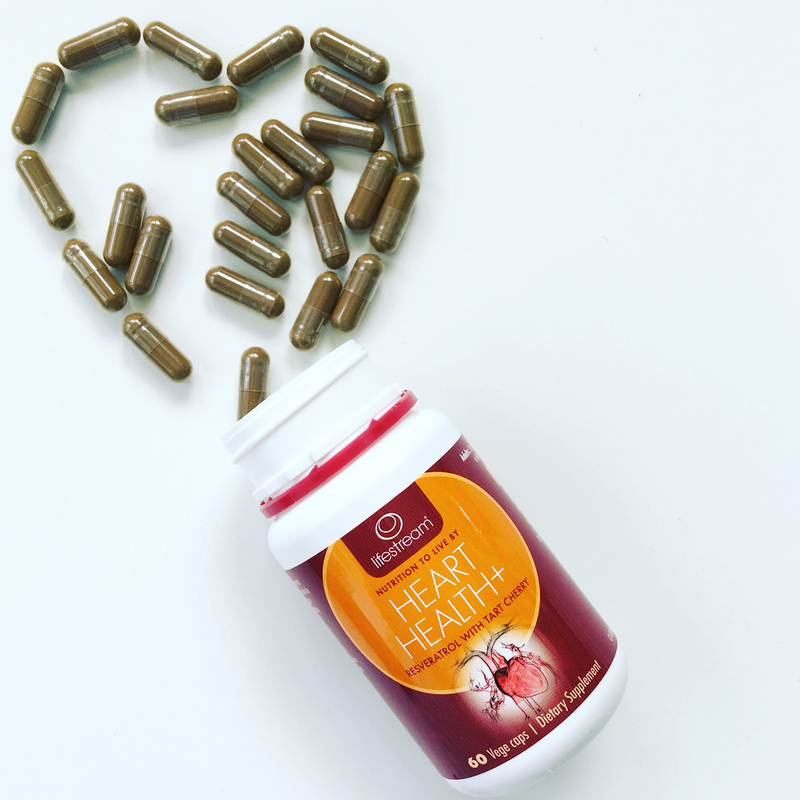 HEART HEALTH+ is the latest all-natural supplement release, which joins a suite of more than 50 products including long-time bestsellers, Spirulina and Biogenic Aloe Vera juice. • Resveratrol is a polyphenol that has natural protection properties, which plants use to ward off pathogens. Found commonly in red grapes and wine, resveratrol may therefore have positive affects on the heart. • Studies have shown resveratrol may might improve oxidative stress conditions. It is also known for its potenital cirulatory benefits. • Resveratrol has shown to have cardio-protective properties – it supports heart health and protection against oxidative stress. It has shown the ability to support healthy arteries and blood flow, thus helping with cardiovascular circulation. • According to the New Zealand Medical Journal, 13 percent of Kiwis aged 20 to 59 experience at least one symptom of insomnia, or the inability to fall asleep. Tart cherry contains natural plant phytonuritents, which may support regular sleep patterns and quality rest. • Research has found tart cherry may provide cardiovascular benefits thanks to anthocyanins; flavanoids that may help support healthy arteries. They are also respected for their ability to potenitaly inhibit stomach fat stores—factors that may contribute to poor health health if not managed. 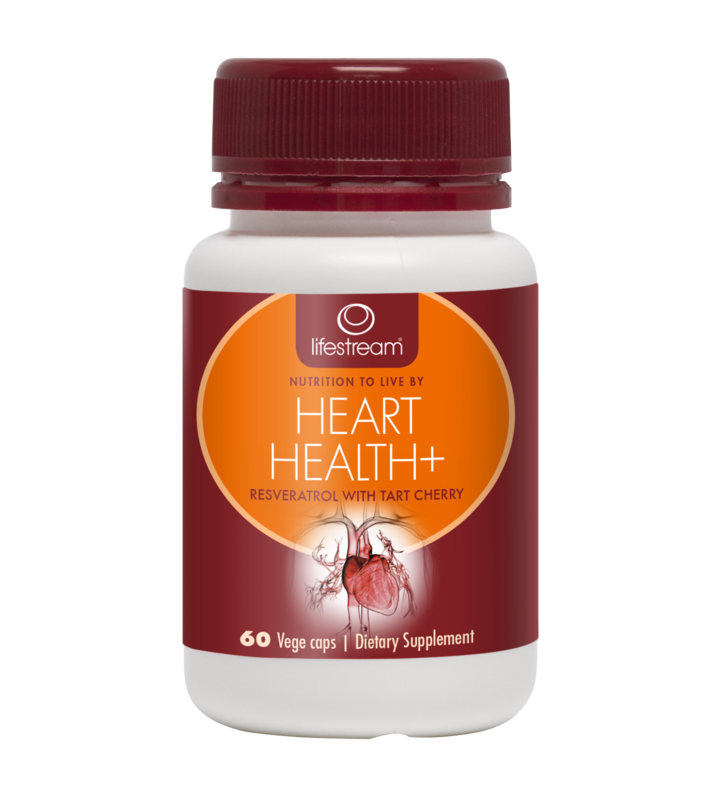 Lifestream HEART HEALTH+ is vegan, with no artificial flavours, colours or synthetic ingredients. It’s also gluten, dairy, soy and GMO free. It’s nutrition to live by.